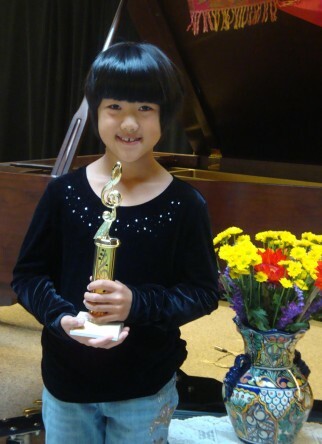 *Kevin Pan with solo performance trophy & duet performance trophy. 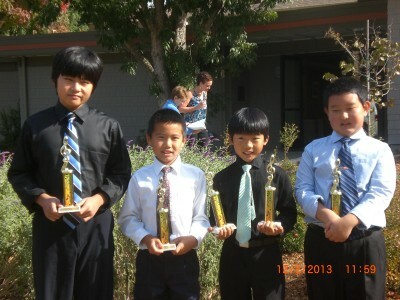 *Antony Zhao(far right) received a solo viola performance trophy & two piano duet performance trophies. 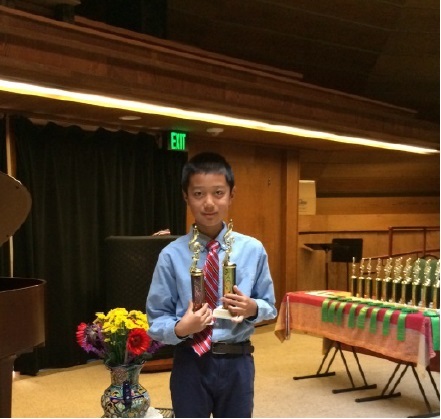 There were 14 competitors in the 8-10 age group from all over Northern California and Aron won second place with Jelly Bean Rag! 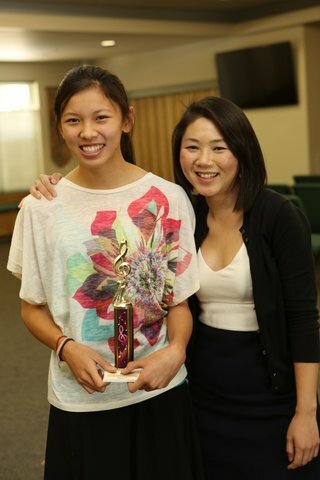 Congrats to Mason for winning an honorable mention!